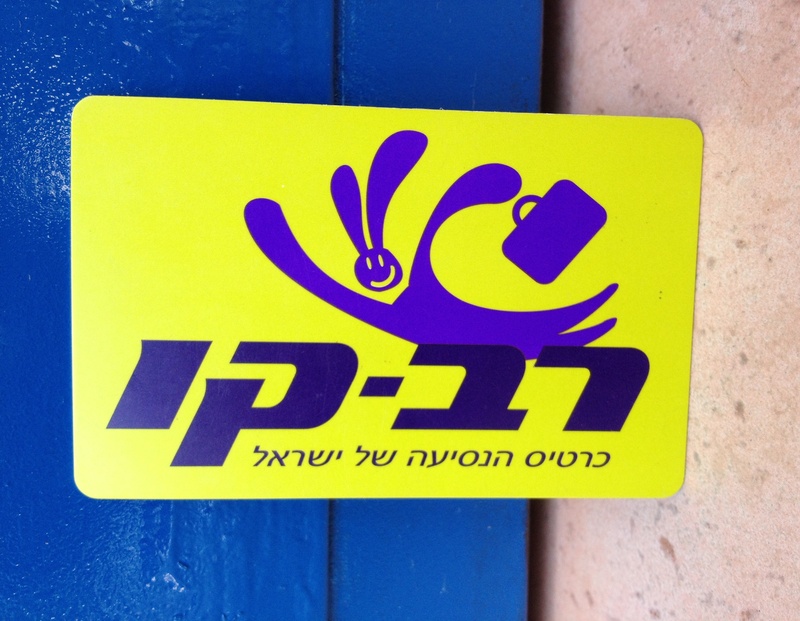 On the way to The Writing Gym yesterday I got off the Light Rail at Jerusalem’s Central Bus Station to “load” my Rav Kav, a smart card for bus and train. #172 was in the office. I was #182. It was 8:44. Three clerks were working. I figured I’d complete my business by 9:12 and arrive at The Writing Gym by 9:30, but just then two of the clerks dressed in blue Egged shirts left the office to talk on their smart phones. I got anxious. As time passed and #173 hadn’t yet been called in, I became frustrated and angry, so I accosted the next clerk who walked by in a blue Egged shirt. “Why don’t you people help the public like you’re supposed to,” I said, pointing to the crowd that had grown to #198. He lifted his shoulders and chin as if to say It’s God’s will and walked away. Meanwhile, a woman with short gray hair approached and asked me if this was the office for buying a Rav Kav. I told her to take a number and wait. She started with the questions. Where are you from? How long have you been here? Where do you live? etc. etc. I threw them right back and learned she was a science teacher (K-12) from Anniston, a small town in northeastern Alabama. She was visiting Israel on a summer study program at the Hebrew University, along with other teachers from China and Canada. “We’re learning how hi-tech is changing the world.” The more she described her studies and field trips, the more incredulous I became. People come to Israel from around the world to learn how to help large populations solve their problems. My heart overflowed with pride in the Jewish People just as my number came up. “Why isn’t there a sign?” I said, leaving in a huff, no time left to finish my business. On Jaffa Road a woman stopped me for directions. I knew exactly how to get to Café Rimon and told her so, which reminded me of the Torah reading from Shabbat, last chapters of the Book of Numbers. Mas’e, it’s called, journeys, a detailed review of the stops along the way to the Promised Land. No maps, no signs other than clouds and fire, scant description of the destination, boring menu, little water, no entertainment along the way. Had I been on that journey, I would have been among those harking for the squash and garlic of Egypt. I would have danced with gusto around the Golden Calf. Knowing what I know about myself now, I doubt I would have joined the Exodus, especially if I had been in my 60’s at the time. As I age, I like crowds less. Re travel, I prefer to stand in one place and watch. Going from here to there, pitching a tent one day and taking it down the next would have driven me crazy. I like events that are well-planned. Of delicate feet, I would have been the first one to get blisters and a cough, even in the summer. Granted, I like to walk, but six days a week? If I walk on a Sunday, on Monday I rest. If I collect manna on a Tuesday, I sleep in Wednesday morning. Maybe if I were twenty or thirty I would have said What the hell, rubbed the blood on the doorpost and joined the crowd. The tour organizer, God, did a lousy job. He should have told the whole group the route before they set out, or at least after they survived crossing the sea. He expected too much from ordinary people, let alone slaves, though on second thought, maybe only slaves would have joined such a poorly organized journey. It was life or death. Successful entrepreneurs and busy mothers certainly wouldn’t have joined such a scheme. That’s why it’s all the more miraculous that a teacher from Alabama has come to Israel to learn how to take the salt out of sea water and create food for hundreds from one little tomato seed, how, in short, the descendants of those slaves turned the world into stories that nobody could have imagined even forty years ago when we all wandered in the desert of stupidity without smart cards. It was only 9:28 and the day’s journey had already offered a feast. George A. Becker & Co.
It’s definitely a land with promise (albeit much of it unfulfilled), and thank you, Judy, for reminding me that it’s not only full of the irritations and idiocies of everyday life (but don’t get me going about the frustrations of trying to buy a single ticket for the light rail at one of its stations). And because the original plan wasn’t so great, as you pointed out — though one might have expected more of the creator of the universe — people had to make another plan in our time. They had a good idea, but forgot one crucial thing…that somebody else was living here (as was the case the first time around). We haven’t figured out to this day how to resolve that, but only people can. I don’t expect any heavenly intervention. Esther, As we’ve seen, heavenly intervention only makes it worse, i.e. slaughter everyone you find in the Land. Now that we know we’re not the only ones living here we must open our doors wide to acceptance. Re the mundane matter of tickets, buying a Rav Kav will take the frustration out of having to buy individual tickets on the Light Rail. Walking is probably the best option. Dear TzirelChana, Thanks for your corrections. Your description of manna reminds me of tofu-tastes like anything you want it to taste like. I can accept the miracle of no blisters and clothes that grow with you, but no BM’s for forty years? Sounds like wishful thinking from one of the chachamim who suffered from piles. Hi Judy, very enjoyable post, your writing is refreshing and brilliant as usual. Thanks for sharing this, Rena. Great story.